We recently joined the Navy in challenging this assumption and offering an alternative look into what goes on in this profession. Did you know that The Navy and the Marines take part in so much more than fighting wars? Every day brings a new challenge to the men and women involved such as tackling piracy, human trafficking, drug smuggling, dealing with flash floods on the south coast, typhoons in Southeast Asia and so much more! 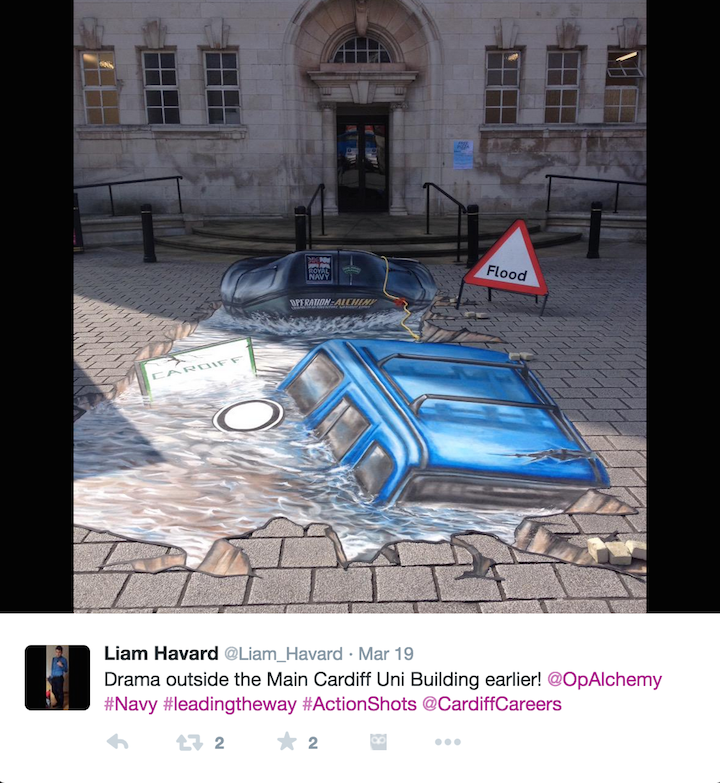 Our team created a bespoke piece of 3D Street Art which gave the public a chance to put themselves into the search and rescue role of a Royal Marine, this was part of a wider campaign titled Operation Alchemy. 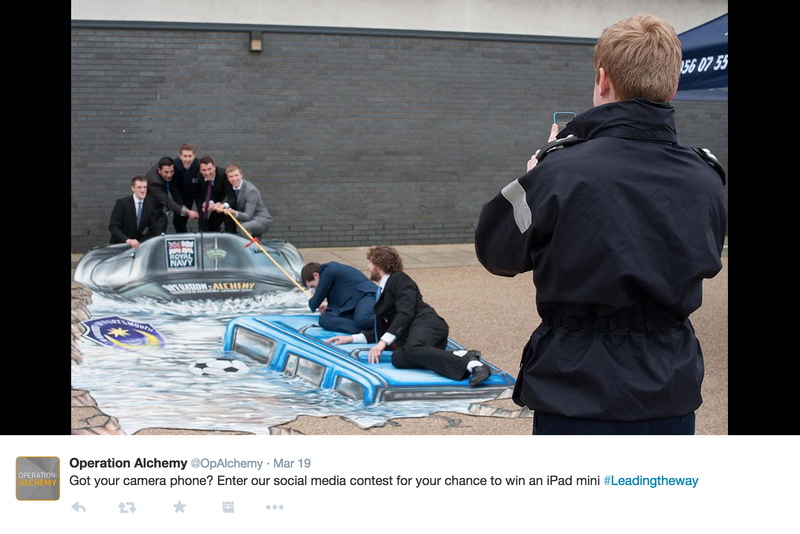 The campaign travelled around the UK from Student Union to Student Union raising awareness and challenging the students to bring out their inner leader.